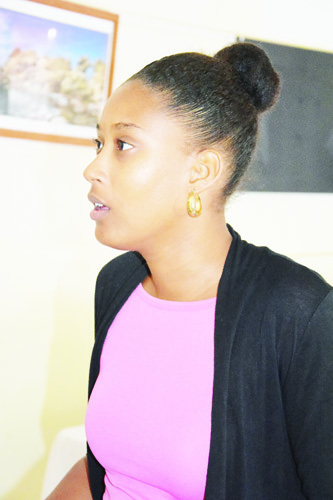 LITTLE BAY—Montserrat is one step closer to the implementation of its national database following the conclusion on Friday, April 16 of its three part Devinfo training sessions. Reduced data redundancy, reduced updating errors and increased consistency are among the advantages envisioned for the island through the pending launch of the National database which will be hosted by the statistics department. 31 Local stake holders representing the public and private sectors participated in the CARICOM sponsored Devinfo users application workshop held at the Montserrat Cultural Center. 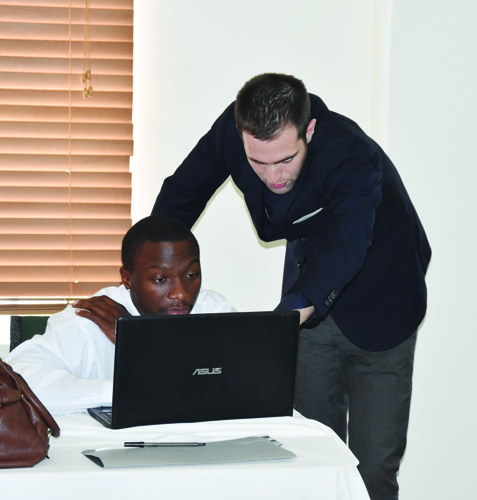 The workshop was geared at developing the knowledge and skills to effectively manage and use the Devinfo database as part of preparations for the actual launch of the system. Devinfo is a database system that focusses on promoting the use of national statistics in evidence based policy and planning dialogues at global, regional and national levels. Organizers are optimistic that the national data base will provide greater data integrity and independence from applications programs, improved data access to users through use of host and query languages, improved data security, reduced data entry, storage, and retrieval costs as well as facilitate development of new applications program. The workshops were held in three part, with the first in August 2015, followed by another session in October attended by the heads of departments and culminating with the final session on Friday 26th April. 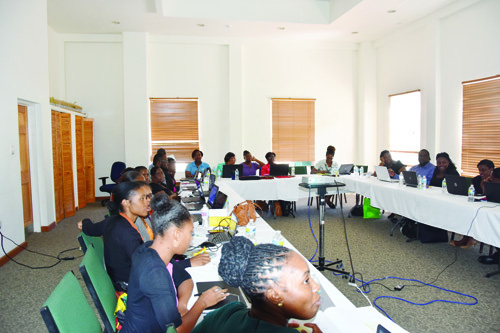 “The last session focussed on the data entry part of the application where ministries would assist us in entering data that they have for indicators that they report on,” statistician Alphege Browne, who hosted the second and third workshops explained in an invited comment. Browne noted that though the workshop was hosted by Devinfo, the national database will not fall under their jurisdiction. “It’s not just a statistic department database, it’s a national database. We don’t want to confuse national that we only have national indicators, we also have the CSMDG’s (Caribbean Specific Millennium Development Goals) that are mixed in as well. So it’s not just a statistics department database it’s a Montserrat database. We’ve got all sectors covered within government and we have tried to cover some areas within the private sector, being media and telecommunications. We’ve also got detailed health data and information– not sensitive things that we couldn’t disseminate. We cover education statistics there, we are covering the economy as well, we have our GDP (Gross Domestic Product), we have our average CPI, we have census information and we have labour information as well. The questionnaire carries a lot of indicators that we are reporting on,” Browne explained. The program is being implemented in five of the Caribbean islands—Montserrat, Grenada, St. Lucia, Anguilla and Barbados through collaborations by the Caribbean Development Bank (CDB) and the United Nations Children’s Fund (UNICEF) and CARICOM. Information provided by the local statistics department sates that the Region has recognized the potential of using Devinfo as a dissemination tool for their national statistics systems. Gary Goldman, who provided the Montserrat and Grenada workshops, listed transparency and ease of access to pertinent information relating to labour, education, etc., among the benefits these islands will reap from their national online databases. 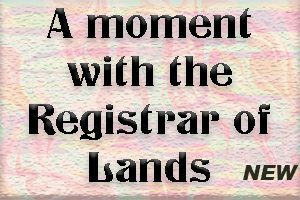 Each island will be responsible for hosting its own database that will allow interested persons, including potential investors and visitors to the countries, to access relevant information pertaining to their sector of interest. “If I am a funder I will be able to see what are the areas that potentially need funding, if I am a decision maker, most importantly, I will be able to look at for example the literacy rate in a numeration area and have an idea of where best to invest my money,” Goldman noted as examples of the everyday use and need of such a database. According to Goldman while each of the databases from the various islands will have information that can assist persons with making an informed comparison as to GDP, labour needs, etc., on each of the islands, they would however have to visit each island’s site separately as the databases are each national and not linked. The database will be a public front facing site with key—though basic– information for dissemination. Goldman believes that workshop participants now have a good grasp of what the system is and what they are required to do and have successfully demonstrated their ability and familiarity with using the Devinfo system. The actual launch date of the national database will be announced at a later date.